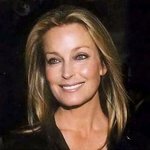 Bo Derek joined lawmakers at the California state Capitol on Monday promoting a bill that would ban selling, trading or possessing shark fins. “Sharks have been around for nearly 400 million years, and yet many stocks may be wiped out in a single human generation due to the increasing demand for shark fins,” Derek – who is a US Secretary of State Special Envoy against wildlife trafficking – told the Senate Appropriations Committee. U.S. law stops the practice of shark finning in US waters, but cannot stop it in international waters.The bill, which was approved by the Assembly in May, was sent to the suspense file, which is reserved for bill that could cost the state money.